As we begin a new year, now may be an ideal time for many online businesses to rethink their digital transformation initiatives. With expectations continuing to grow in the digital marketplace, online marketers must be able to quickly understand the needs of customers across all digital journeys in effort to deliver exceptional cross-channel customer experiences and to stay ahead of the competition. Developing a solid digital transformation strategy will give businesses the means to understand customers’ needs and empower them to deliver value that is aligned with the customer demands. For many companies, digital technologies have been the driving force behind how they improve customer engagements and find new ways to transform business. Yet, most lack the required data and insight needed to really understand digital customer experience issues which results in a transformation approach that misses the mark. An effective digital transformation strategy must move beyond traditional web analytics, which offers a glimpse into customer interactions, and embrace Customer Experience (CX) analytics to get a thorough understanding of customer behaviors and journeys. Although basic digital analytics provide you with details as to what is happening on a website, like number of clicks, page views or bounce rates, it does not tell you why digital properties perform as they do. By applying CX analytic tools to customer data, businesses achieve an understanding into why and how users interact with digital properties rather than the properties themselves. 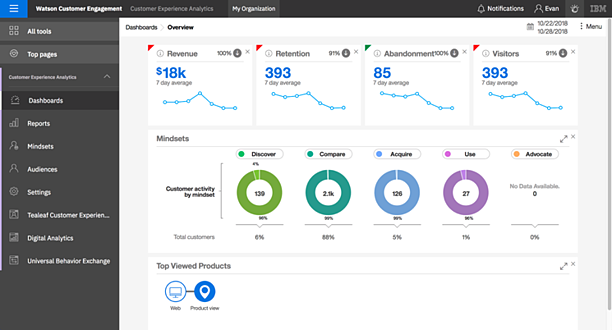 CX analytics plays an important role in producing successful digital transformation plans by supplying organizations with actionable insights that they can use to improve customer engagements and optimize digital experiences. CX analytics have essentially become a digital transformation imperative. At the core of digital transformation is process optimization which entails restructuring business processes across an organization – sales, marketing, customer service, operations, etc. – to help create enriched customer centric experiences. Using CX analytics, companies can measure process effectiveness and obtain a greater view into the overall performance of their important business processes as well as identify individual process steps that may require enhancements or improvement. Additionally, the capability to drill deeper using session analysis and to segment data in CX analytics offers companies insight into both the what and the why behind business performance. Allowing them to understand what causes customer struggle in certain process steps and quickly take corrective measures to carry out improvements to optimize business processes. A critical part in digital transformation is ensuring that web pages on your site are fully optimized to draw customers, drive engagement and ultimately boost conversions. Site optimization encompasses several different factors from detecting struggle, understanding page engagement, improving site usability and search function, to providing the right content to enrich customer experience. By applying behavior analysis in CX analytics, organizations can gain a better understanding of customer behavior across their site to assist in optimizing search and page engagements and identifying areas of customer struggle. With increased visibility into customer experiences, struggles and paths, companies can identify best practices and areas of improvement for optimizing their site to furnish enriched digital customer experiences. Marketing plays a major function in the digital transformation process. Not only are marketing efforts required to produce powerful content to drive customer engagement throughout the customer journey, they are also expected to maximize marketing effectiveness and boost return on investment (ROI). By leveraging the power of artificial intelligence (AI) in CX Analytics, companies can realize valuable insights that can be used to develop more personalized campaigns and messages based on customer behavior. Armed with rich customer insights, marketers can produce impactful campaigns that will produce improved segmentation and better yields. Successful digital transformation involves a customer-centric approach that empowers companies to produce innovative and engaging customer experiences across their entire organization. By focusing on the key elements in digital innovation and applying the power of CX analytics for actionable insights, businesses can prevail over digital transformation challenges and begin to address rising customer expectations in the digital landscape to stay ahead of the competition. To get started with accelerating digital innovation using CX analytics, click the title below to download Pereion's white page, “Customer Experience Analytics: A Digital Transformation Imperative." Start accelerating digital innovation for your business with help from Pereion Solutions. We can assist you in learning how to apply the necessary CX analytic tools to gain actionable insights that you can use to improve customer experiences and maximize digital business performance. Click the tile below to get started! Hiring New Data Analyst to Support 2019 Growth! Pereion Solutions is a hiring a new data analyst to support our continued growth in 2019. We help clients leverage advanced analytic tools, including AI technologies, to understand and improve digital user experience issues. In addition to user experience improvements, we leverage digital data to assist clients with conversion optimization and marketing attribution. We also believe it is our responsibility to help our analysts to develop those skills. If you are interested in working for a company that helps clients to develop unique data based insights about their businesses and develop your skills based on this approach, then I would encourage you to check out our latest job posting. We have a new job posting for a Digital UX and Marketing Data Analyst posted on our Careers page at https://www.pereion.com/careers. If you are interested, we would love to hear from you. All too often, many customers experience frustration in their digital online journeys. Such as a poor online check out process, a link that doesn’t direct you to the appropriate information or an invalid coupon code. All can lead to abandon carts or ignored marketing campaigns that, in the end, result in disappointed customers and marketers. The key to a successful customer journey is having the appropriate data to better understand your customers. 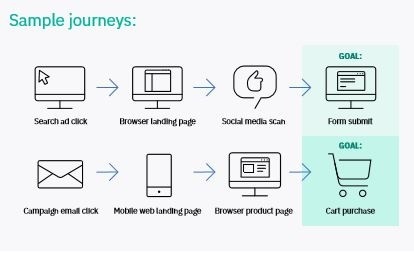 Each customer journey requires both a starting point and a goal. That goal should be a mutual win-win that builds up your relationship with your customer at every conversion point. The use of the customer data can help in achieving the mutual goal. 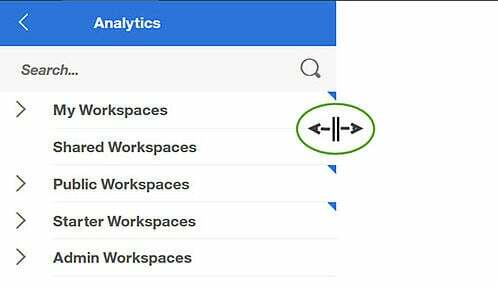 While traditional web analytics do a great job in evaluating what is happening with your website, like number of clicks, page views or bounce rates, it does not tell you why your digital properties perform as they do. Use of customer data gives you the why in the equation. When you have both what and why, you acquire the insight needed to help improve customer journeys. Customer data focuses on how users interact with your digital properties rather than the properties themselves. Customer data awards you a competitive advantage in that it supplies you with the knowledge needed to create exceptional digital experiences that produce outstanding journeys. Compare-customers are looking at all the options available. Mindset data can aid in building remarkable experiences along the customer journey that result in progress from one mindset segment to the next. 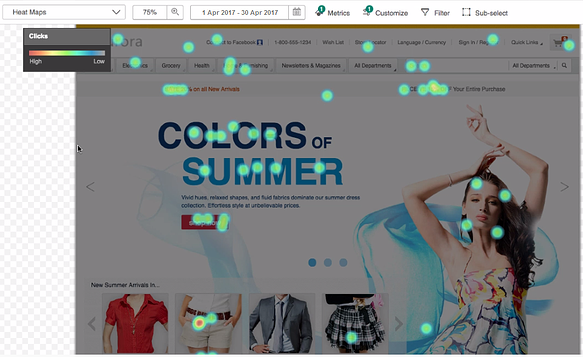 Behavior Data displays and captures customer data through heatmaps, session replays and form analytics. These behavior analytic capabilities can pin point customer struggles that need immediate attention across all channels with speed and accuracy which ultimately drive ROI. This allows marketers to stay ahead of the competition, be more dependable and gain valuable insight to ensure customers achieve goals throughout their journey. 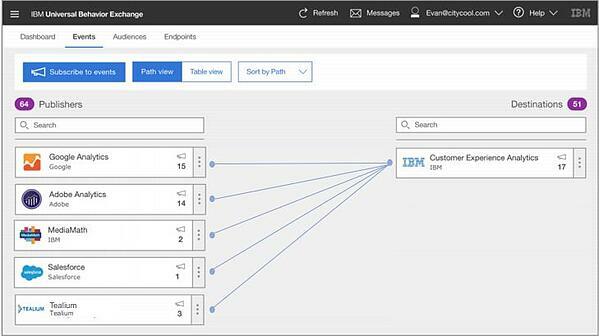 Engagement and Value Data can be created by leveraging AI customer analytic solutions, like Watson CXA. Customer value data calculations can be made for you with a level of speed and accuracy that does not involve a team of data scientists. The outcome being a recognized ROI. 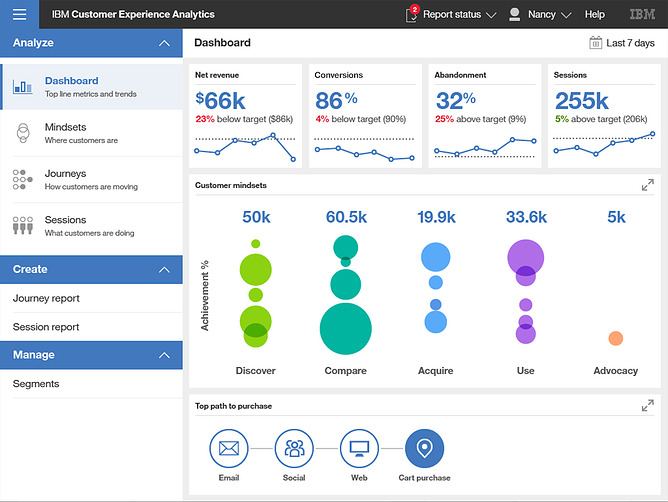 By leveraging AI powered Watson Customer Experience Analytics (CXA), a better understanding of how customers interact with your brand can be achieved in journeys across time, devices and channels. It gives you insight into to why your customers experience issues, the visibility into the customer experience and the ability to segment customer sets so you can take immediate action. All allow you to make better, faster and smarter business decisions across customer touchpoints. To download a copy of the IBM’s Whitepaper, How to use Customer Level Data to Supercharge Customer Journeys, click here. If you are interested in learning more about Watson CXA and realized benefits and ROI, download a copy of our eBook which highlights the top 10 use cases and formulas for success. Gain the insights you need to enhance customer journeys, boost conversions and maximize lifetime customer value. Please click the tile below to download the eBook. Like many organizations, B2B companies have elevated digital transformation on their business agenda. 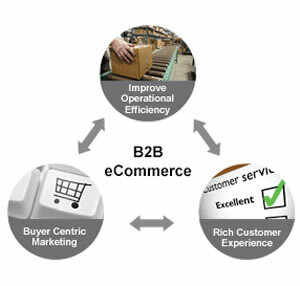 Faced with rising expectations in a competitive landscape where much of the B2B decision-making process is now online, B2Bs realize they must quickly understand and address their customers’ needs across their digital journeys and deliver an exceptional eCommerce experience. But, while digital technologies are forcing B2B companies to rethink how they can best service their customers and adopt new ways of transforming their business, they often find themselves struggling to overcome B2B digital innovation challenges. As more and more millennials are now B2B buyers, B2B organizations need to better understand their needs and evolve their customer service capabilities to deliver more personalized, hassle-free online experiences that they have come to expect. This requires that B2B organizations uncover inefficiencies and acquire a deep understanding of their customer pain points to quickly find ways to alleviate friction and deliver the highest level of customer service possible. At the same time, B2B marketers are under pressure to increase marketing effectiveness and understand what offers, content, and services will engage key segments and deliver a substantial return on investment (ROI) across digital innovation efforts. One of the biggest challenges B2B organizations face in digital innovation is the complexity of their business transactions -- where the typical B2B transaction is usually high volume and comprised of many different components in a single transaction. A good example that illustrates the intricacy of B2B business processes is automobile manufacturing, where car makers must source many unique parts – tires, hoses, batteries and electronics, etc. – that are often manufactured from numerous different vendors. The process encompasses seeking qualified supplies, requesting proposals, handling quotations, managing special pricing and advanced payment options, handling supply chain and order management, as well as administering customer service and support, and more. Digital transformation involves facilitating these B2B processes online in a very effective manner where operational efficiency is key to creating the superior customer experiences that B2B buyers expect. Success in B2B digital transformation boils down to data – and the ability to secure the right customer data and apply the necessary data analysis to truly understand customer behaviors and journeys to create more actionable insights that B2B companies can use to improve customer engagements and optimize experiences. By leveraging robust data analysis capabilities using CX analytics, B2B players can gain the insight needed to drive digital innovation across key areas of their business including process optimization, eCommerce site optimization and marketing effectiveness, allowing them to overcome constraints in the adoption of digital technologies. CX analytics have essentially become a B2B digital transformation imperative. One of the important areas where CX analytics offers B2Bs invaluable capabilities is in process optimization. Given the complexity of B2B eCommerce transactions, B2B organizations have a heightened requirement to understand user behaviors to monitor and optimize critical business processes across their organization. Using CX analytics, B2B companies can measure the effectiveness of their individual online process steps and quickly identify and understand their customers’ online struggles in order to remove points of friction and provide an optimized experience across their entire business process. The ability to identify inefficiencies with the complete flow of processes also helps unite B2B teams in collaborative efforts around the digital innovation plan and offers B2B organizations the insight needed to uncover better ways to deliver optimized online solutions and services to their customers. CX analytics also provides B2B companies valuable insight they can use for eCommerce site optimization and improving marketing effectiveness. 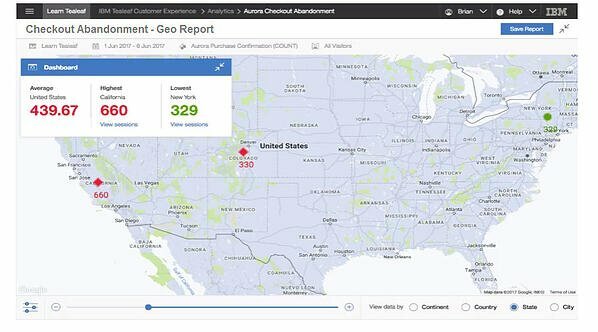 By using behavior analysis in CX analytics, B2B organizations can understand customer behavior across their site – including engagement with page content and engagements before, during and after search functions – offering insights they can use to optimize their site and enhance search terms and functions. 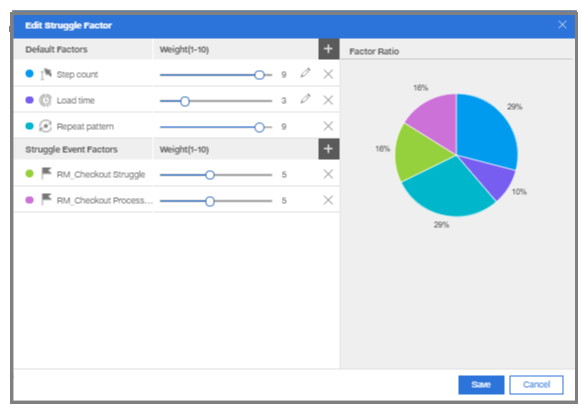 Struggle analytics can further assist by uncovering where and why customers struggle and offering the insights B2B companies need to rectify issues and optimize the customer experience across their entire site. B2B organizations can also use behavior analytics to analyze behavior patterns and identify customer paths, and then apply advanced segmentation to drill further into customer behavior, to gain the insight necessary to develop more impactful, personalized campaigns focused on customer wants and needs – and maximize marketing effectiveness to deliver a healthy ROI with digital transformation initiatives. Addressing the right factors in digital innovation – and applying the power of CX analytics for data-driven insights -- helps B2B organizations overcome their digital transformation challenges and offers the agility to respond to evolving customer expectations to stay ahead of the competition. To get started with accelerating digital innovation using CX analytics, download “Customer Experience (CX) Analytics: A Digital Transformation Imperative” by clicking here.